Dr. John B Brinkman, MD is a Doctor primarily located in Fort Wayne, IN. He has 31 years of experience. His specialties include Urology. He speaks English. Dr. Brinkman has received 3 awards. The overall average patient rating of Dr. John B Brinkman is Excellent. Dr. John B Brinkman has been rated by 56 patients. From those 56 patients 8 of those left a comment along with their rating. The overall rating for Dr. John B Brinkman is 4.6 of 5.0 stars. He was very pleasant to work with. The procedures he used for my situation work very well and I am very happy with the results. Dr. Brinkman is a good and humble servant who learns who his patients are on a personal level. Respectful, knows his craft, has an excellent "bed side manner" and has a good sense of humor. I have never left his office feeling short changed. Everything a doctor should be. Appointments are always prompt. He answers all my questions and concerns. You can tell he cares about his patients .His nurse has always been so kind and compassionate. I will send anyone to see Dr. Brinkman . I've been a patient for over a year and now I'm looking for a new doctor, really 600 is where he wants a 46 years old man, other doctors I've spoken with state they like a person my age around 1000 to 1200. It's not high enough and the doctor does not care. 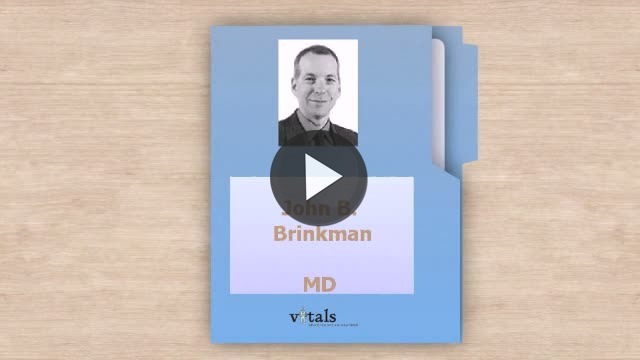 Take a minute to learn about Dr. John B Brinkman, MD - Urology in Fort Wayne, IN, in this video. Dr. John B Brinkman is similar to the following 4 Doctors near Fort Wayne, IN. Have you had a recent visit with Dr. John B Brinkman? Select a star to let us know how it was.